RECRUITMENT FOR 2019-20 WILL COMMENCE AT THE END OF THIS WINTER AND WHEN WE HAVE MORE IDEA OF OUR STAFFING POST BREXIT! 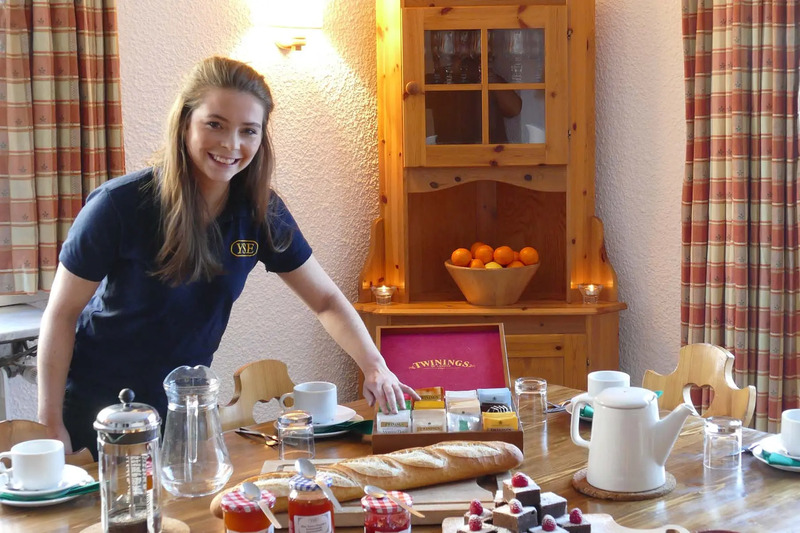 We employ a number of Chalet Assistants to work alongside Chalet Chefs in our larger chalets (sleeping between 8 and 16 people). Chalet Assistants are responsible for cleaning and overseeing the day-to-day running of the chalets. You will be required to make beds, clean bedrooms and bathrooms, polish mirrors, hoover, set and clear the table, serve meals, load and empty the dishwasher, wash up heavy pots and pans, etc. Some Chalet Assistants turn out to be sufficiently competent cooks to run their own chalet, but most spend the whole winter cleaning and serving. It is hard and repetitive work, but there’s a great team spirit! Applicants must be conscientious, reliable and cheerful, and enjoy working as part of a team. In addition to a reasonable wage, you will be able to ski for up to six hours on six days of the week. We provide travel to and from the UK to Val d’Isère, accommodation, food, medical insurance, a ski pass, and the loan of skis or snowboard and boots. Please read the Recruitment Overview before applying to work for YSE.